Let’s start our photo update back in Jurassic Park. Guests can now meet a 10-week-old Triceratops in the Camp Jurassic area. The baby dinosaur moves and blinks her eyes. You can also sometimes see a doctor examining the dino in the Discovery Center. This new activity was designed by a couple of team members. 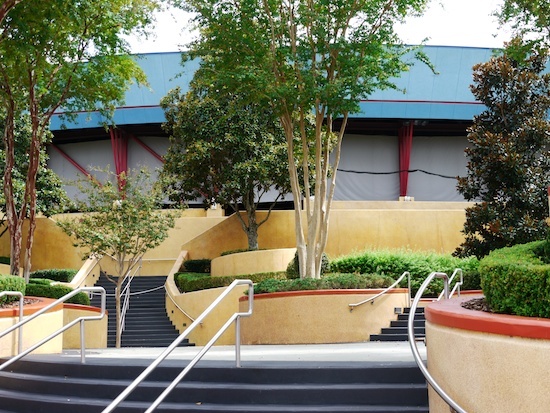 It looks like some work has been going on in the queue area for the old Triceratops Encounter attraction. There’s no word if it’s reopening or being converted to something else. Back in Toon Lagoon, Mat Hoffman’s Aggro Circus is no longer showing. It’s a seasonal show that appears during the busy summer and spring months. In case you missed it, here’s a look at the show. 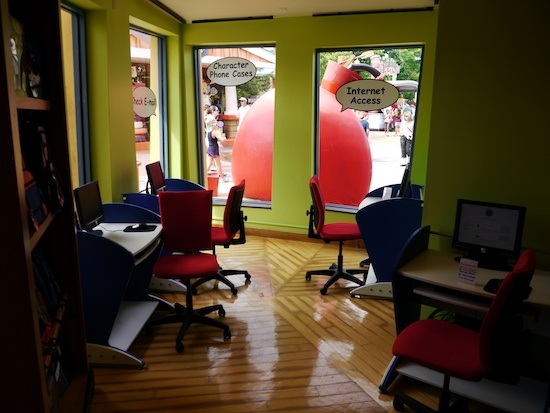 Also in Toon Lagoon is this new store that sells cell phone accessories and offers Internet access. It’s in the WossaMottaU building. Internet access costs .50¢ per minute or $30 per hour. 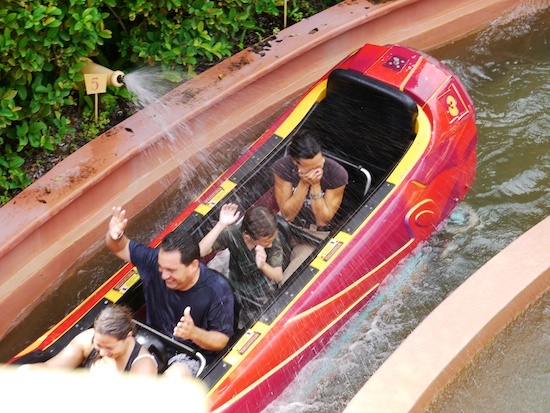 I can never resist stopping to watch a few people get squirted by guests as they end their ride on Dudley Do Right’s Ripsaw Falls. 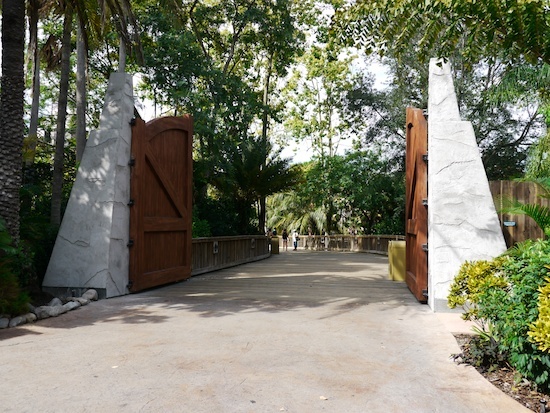 Back in Jurassic Park, if you take the bridge to The Lost Continent, you’ll notice these new gateway doors. 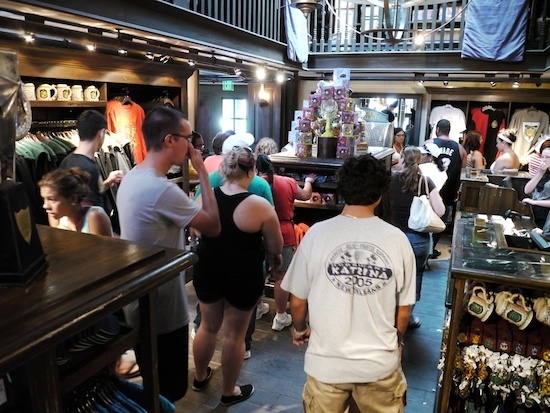 For the first time since the grand opening, The Wizarding World of Harry Potter wasn’t overly crowded. It was still the most crowded part of the park, but for a Saturday, I was surprised to be able to navigate the stores easily. U-No-Poo is now for sale at Zonkos and HoneyDukes. They look like M&Ms. 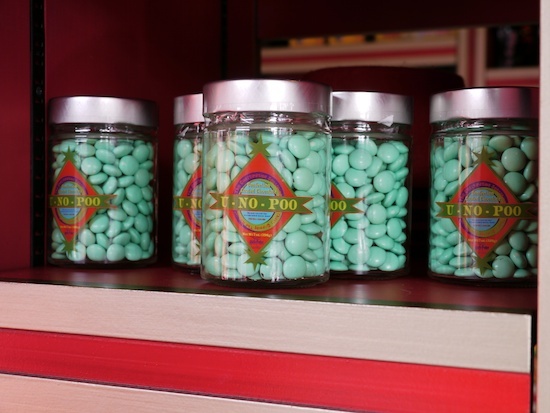 Maybe you should eat some of these before getting in line for Forbidden Journey. 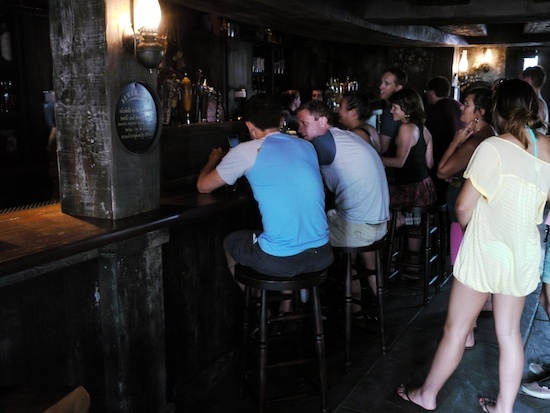 The lines for Butterbeer weren’t bad at all. They’ve even been able to add the barstools back at Hogs Head Pub. They took the middle merchandise stand out in the Dervish and Banges store to allow more room for guests. Here are some shirts I hadn’t noticed before. 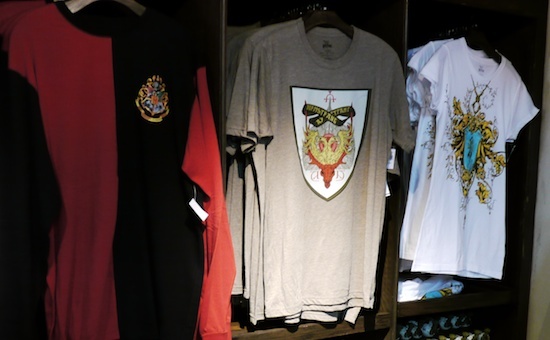 I’ve seen the Durmstrang and Beauxbatons shirts but only in kids sizes. Now they offer adult sizes too. 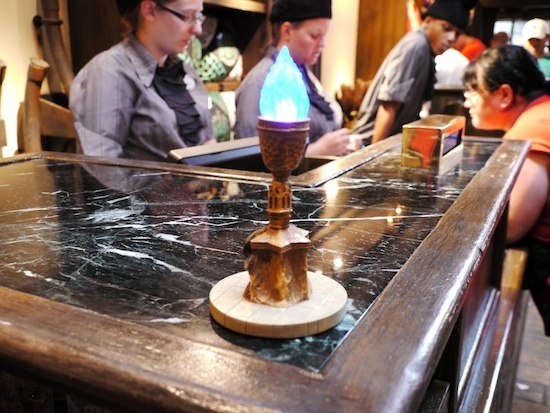 I’m not sure how new these are, but it’s the first time I’ve seen the mini light-up Goblets of Fire. 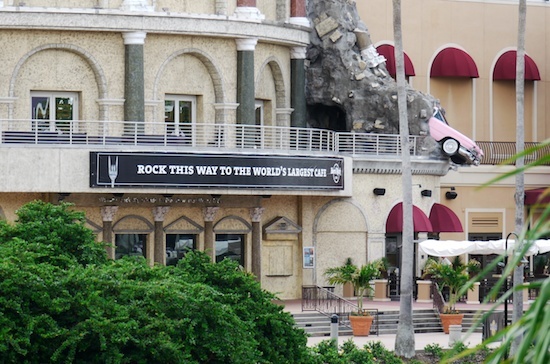 Out in CityWalk I’ve noticed the Hard Rock Live sign has been covered up for a while. I’m not sure if it’s broken or being replaced, but it’s taking a long time. 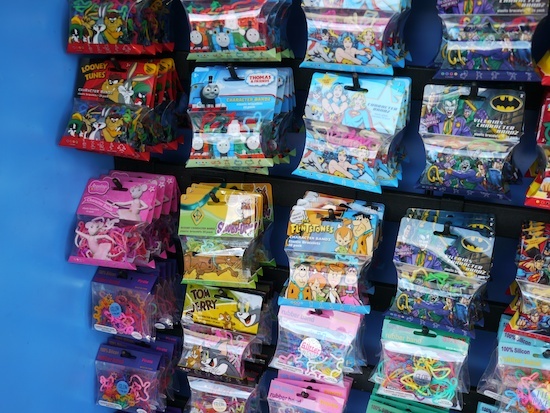 A stand in CityWalk had one side full of character (Silly) bands. 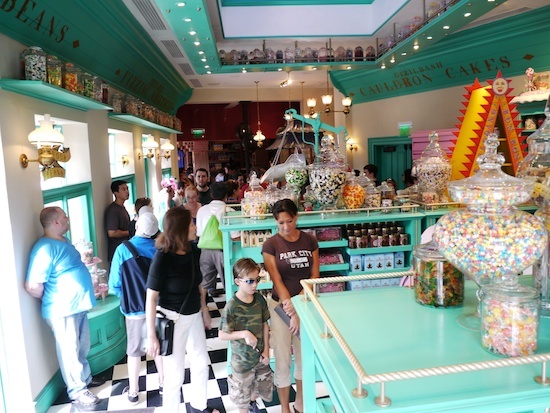 Kids could choose from Looney Tunes, Thomas, Scooby-Doo, Tom & Jerry, super heroes, Flintstones and more. 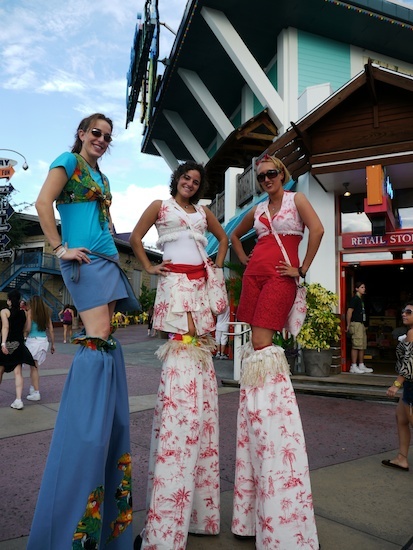 We’ll end this update with these stilt-walking girls who were greeting guests outside of Jimmy Buffett’s Margaritaville. Aw I would love to meet the baby dino. I been hearing stuff about it lately, so im very happy to finally see a picture of it. The stilt-walking girls are awesome. I think every park should have tons of stilt-walking people all around. They are one of my favorite things. Thanks for the photo update of IOA. I enjoyed it! 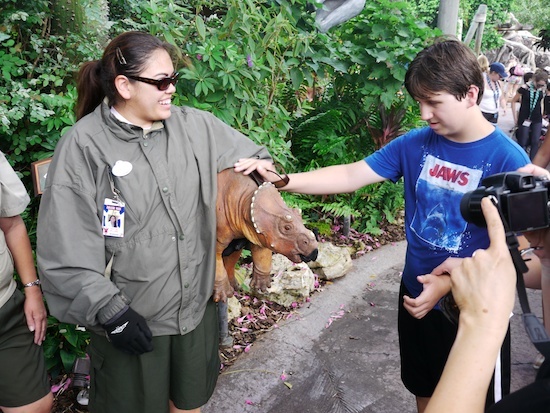 I met the baby dino probably about 2 and a half years ago. Was at IOA with a friend and it looked like the Triceratops Encounter was open. Turns out you walked a short way in to meet the baby. My computer crashed right when I got home so I lost the pics. Seems like it’s an on again off again type of thing. Thanks for the info Jorden. I guess the new part of it is the medical exam they do in the Discovery Center. 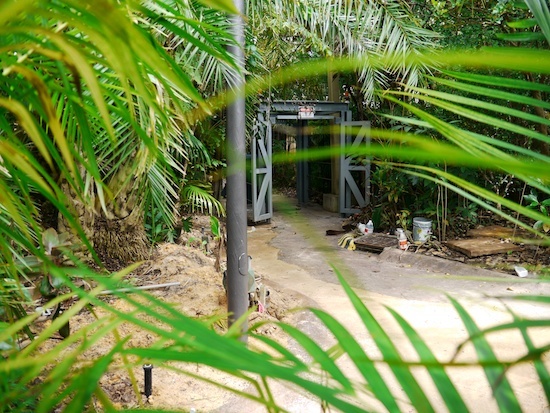 Since they’re working on the Triceratops Encounter queue, maybe they’re going to make that a place to meet the baby dino again.